I had a wonderful time in Nepal.Thank you for being an efficient travel agent and putting it all together with the perfect tour.The hotels were out of this world.From my heart thank you for everything. WeNepal team is the best. The service of WeNepal Tours & Travel in Kathmandu,Pokhara,Chitwan and Lumbini was excellent. The guide was helpful and friendly. We were very happy with our tour guide and driver. They were professional, skilled and very nice people, and we enjoyed being in their company. The tour of Bhutan ran very smoothly.Seeing the country with your guide was very professional, and he saw to every detail at hotels, restaurants, and sights. He made me feel very comfortable to speak up about my preferences. I highly recommend Bhutan Your Way! 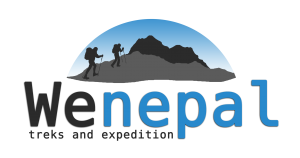 Copyright © 2014 Wenepal treks and expedition Pvt. Ltd.. All Right Reserved.